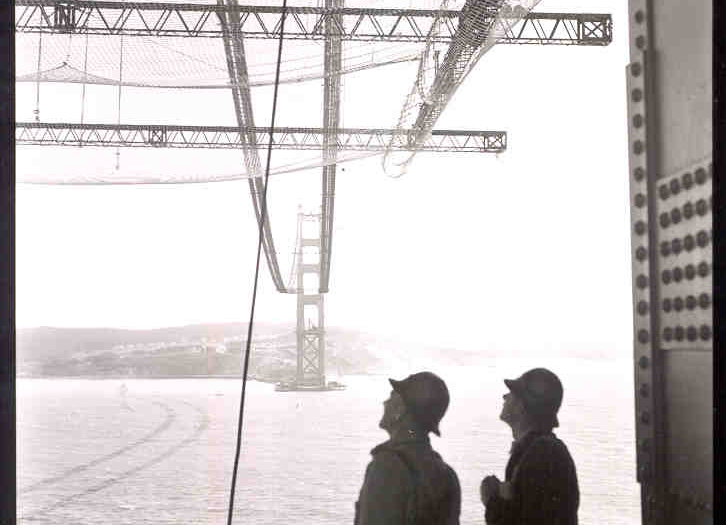 The "net" is actually 385,000 square feet of marine-grade stainless steel stretched across 555 tons of steel supports 20 feet out and 20 feet under most of the bridge's 1.7 mile span. 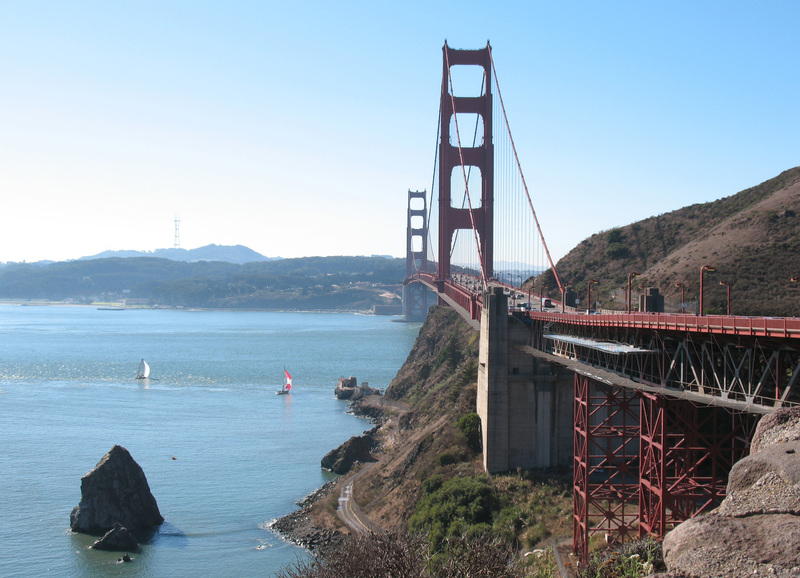 The Shimmick-Danny's JV, under a more than $142 million contract, is building the entire project during normal operation of the Golden Gate Bridge in San Francisco, California, for completion in 2021. The "net," being installed by crews from the joint venture of Shimmick Construction, an AECOM company, and Danny's Construction, is actually 385,000 square feet of marine-grade stainless steel that will be stretched across 555 tons of steel supports 20 feet out and 20 feet under most of the bridge's 1.7 mile span. The Shimmick-Danny's JV, under a more than $142 million contract with an almost $28 million contingency, is building the entire project, scheduled for completion in 2021. The project is a testament to compromise. 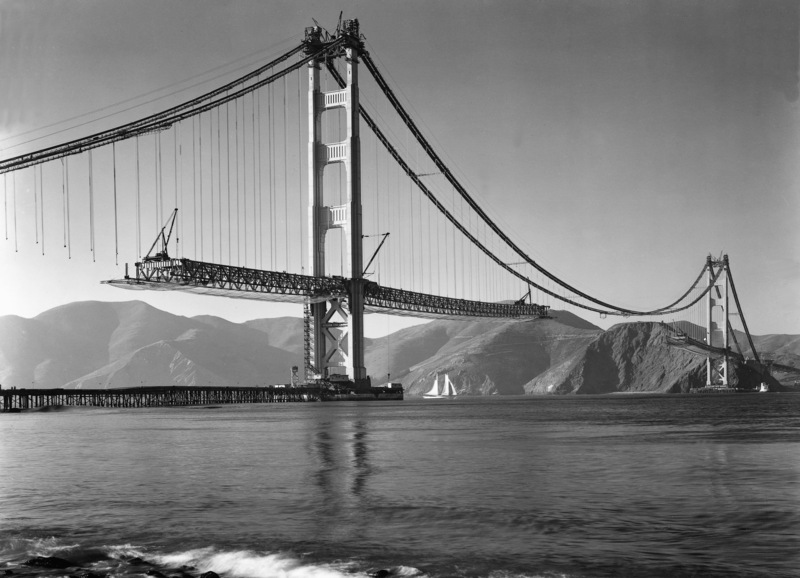 Proponents, sure that a net or some other physical add-on would help stop the 30 or so people per year who end their lives by jumping off the San Francisco landmark, worked with those concerned about the aesthetic — and about how any major addition could affect the bridge's structural integrity — in order to find a design that served the intent yet did not detract from the beauty that draws millions of tourists each year. 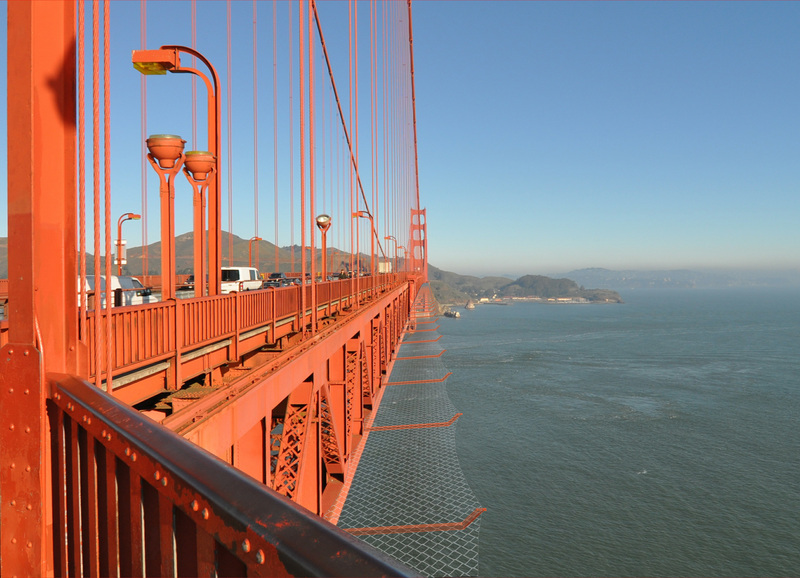 In fact, much of the barrier system will be painted the same International Orange color as the Golden Gate, and its struts will be spaced 50 feet apart to blend in with the bridge's 250, 500,000-pound suspender ropes. 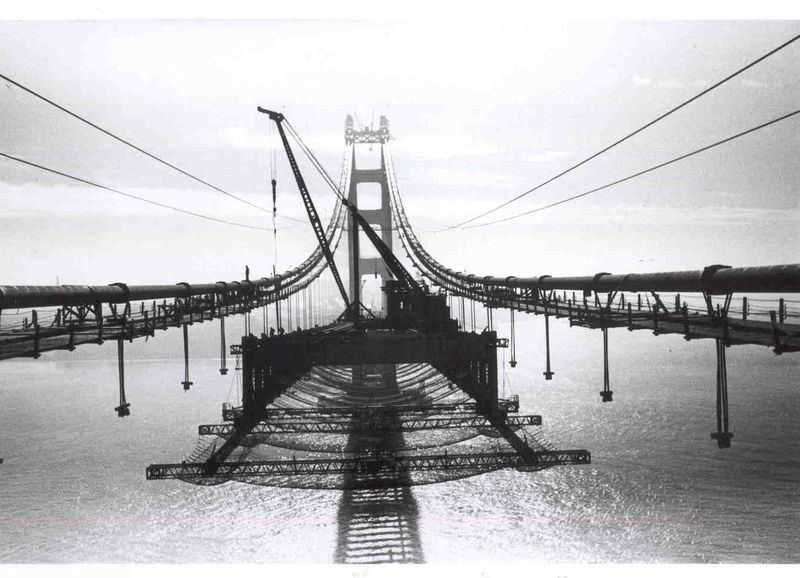 In addition, the system is designed not to interfere with the bridge's maintenance and operation, a year-round endeavor that includes ironworkers constantly replacing corroding steel and rivets and painters ensuring that the ionic structure stays orange. 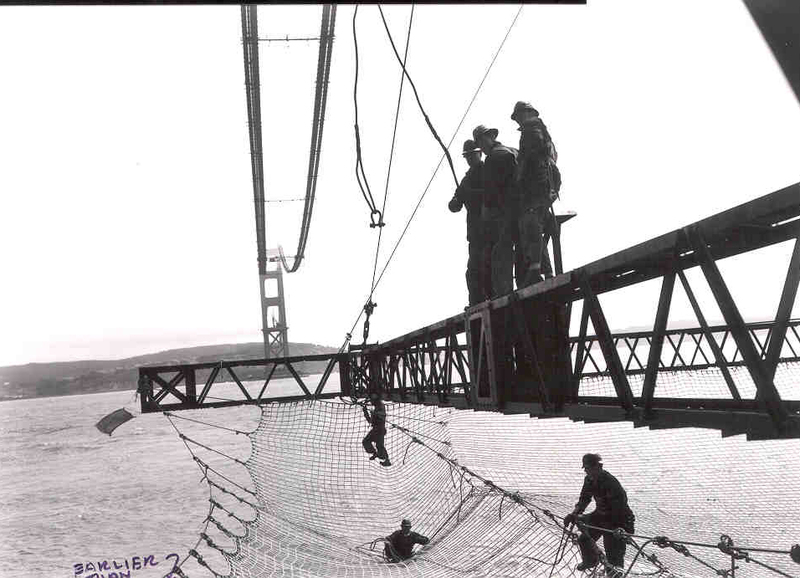 There are approximately 200 operating engineers, mechanics, electricians, communications technicians and other skilled trades who work on and around the bridge. As part of the project, Shimmick and Danny's will remove four maintenance travelers, replace them with 12 battery-powered travelers, and furnish and install 1,100 tons of rail girders to support the new units. The joint venture will also spot blast, clean and paint areas of the bridge disturbed by barrier construction. Would not interfere with the construction of a moveable median barrier. 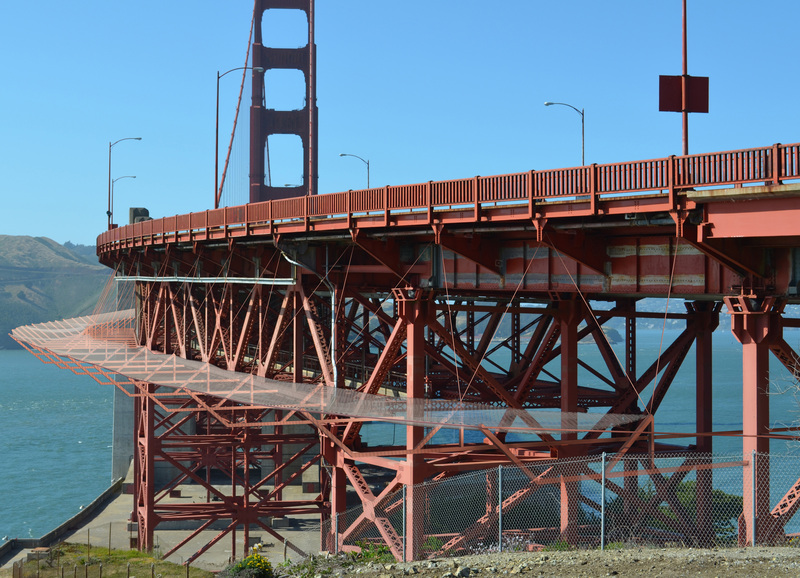 The wind retrofit aspect of the project, which will be installed before the net system, had to address well-found concerns that the suicide barrier could change how the bridge responded to high winds, thereby making the Golden Gate potentially unstable. To solve this potential problem, the joint venture is building a 425-ton steel wind retrofit system along the main span on the west side of the bridge. Portland, Oregon-based Vigor is manufacturing components for both the net's steel support system and the wind retrofit. 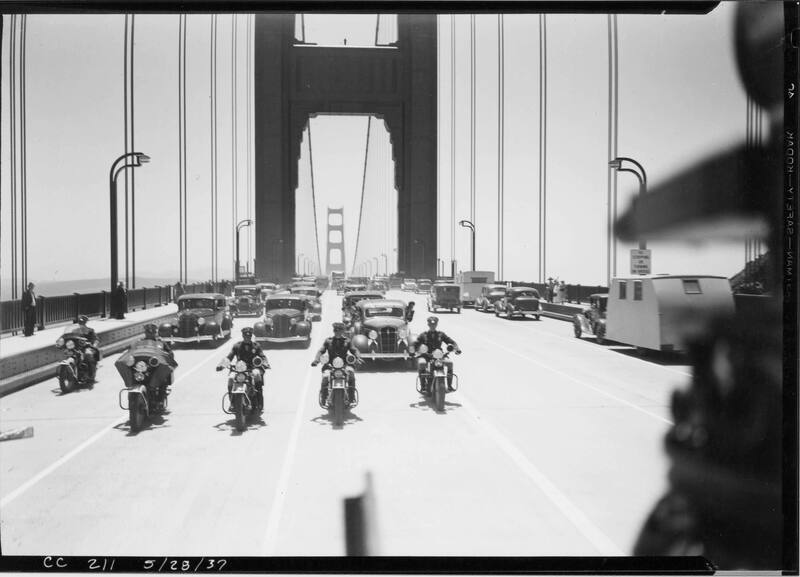 Because of its scope, the project brought together a number of government groups for funding: $74 million from the Metropolitan Transportation Commission; $70 million from the California Department of Transportation (Caltrans); $60 million from Golden Gate Bridge, Highway and Transportation District revenue; and $7 million from the state's Mental Health Service Act.